The Largest Agency Of Fata By Area Is? Question: The Largest Agency Of Fata By Area Is? 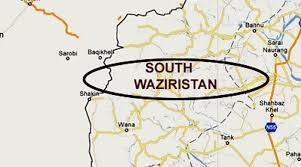 South Waziristan is the largest Agency of FATA by Area with 6620 KM as total area. In the north of Waziristan agency it is known as North Waziristan. Bannu and Lakki Marwat districts are situated in northeast of this area. Tank district and D.I.Khan located in east of South Waziristan. Last was the Zhob district of Balochistan in the south. About 70 km border is link with the Paktia province. Masses of rugged and rocket terrains is the recognition of South Waziristan area. The north part of the Waziristan is much aligned as compare to the south. Most part of the land is barren and treeless. Horizontal axis of the area has major rivers. So it is justified answer of the question the largest Agency of FATA by Area is. Wana plain is famous known as Zarmilan. It lies in the northeast of Domandi. The bermand and the Spin also covered under this approach. The climate of the area is extreme hot summers. Further it has very cold winters. November is the start of winter season and ends up to march in this area. Summer season in south Waziristan starts from May and September is the last month. June is the warmest area.